October is Nobel Prize time. That is when groups in Stockholm and Oslo share the winners of what many think are the most respected awards in the world. This year's Nobel season kicked off Oct. 5. The medicine award was announced. It was the 106th time the award was shared. The prize in medicine was awarded jointly. It was given to William C. Campbell and Satoshi Omura. And also to Youyou Tu. The other awards have been shared daily this week. Physics was shared on Oct. 6. It was awarded to Takaaki Kajita and Arthur B. McDonald. The award for chemistry was shared on Oct. 7. It was awarded to Tomas Lindahl, Paul Modrich and Aziz Sancar. The prize for literature was shared on Oct. 8. 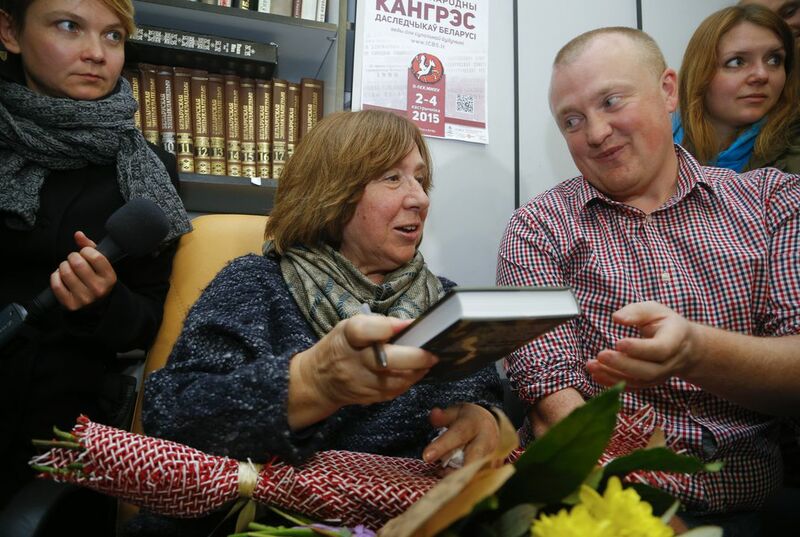 It went to Svetlana Alexievich. The 2015 Nobel Peace Prize was shared today, Oct. 9. The prize was awarded to the Tunisian National Dialogue Quartet. The economics award is last. It will be shared on Oct. 12. Each prize is worth 8 million Swedish kronor. That is $960,000. The awards will be handed out with a diploma and gold medal. The ceremony will be held on Dec. 10. The prizes in medicine, physics, chemistry, literature and peace were established by the will of Alfred Nobel. He was a wealthy Swedish industrialist. He was the inventor of dynamite. The first awards were handed out in 1901. That was five years after Nobel's death. The economics award is a little different. It even has a different name. It is officially known as the Bank of Sweden Prize in Economic Sciences in Memory of Alfred Nobel. It was not created by Nobel. It was created by Sweden's central bank. That was in 1968. It is handed out along with the other prizes. The criteria for selecting winners are the same. But it is not a Nobel Prize in the same sense. The Nobel statutes do not allow the judges to share their discussions. They cannot share it for 50 years. So it will probably be a while before we know for sure how judges made their picks for 2015. And, who was on their short lists. The judges try hard to avoid dropping hints about the winners. But sometimes word gets out. In a new book, the peace prize committee has accused its former secretary of breaking the code of silence. Thousands of people around the world are eligible to submit nominations for the Nobel Prizes. They include university professors and lawmakers. Previous Nobel laureates and the committee members themselves can vote, too. The nominations are kept secret for 50 years. Still, those who submit them sometimes announce their suggestions publicly. That is particularly true for the Nobel Peace Prize. That is how we know that German Chancellor Angela Merkel, Pope Francis, former NSA contractor Edward Snowden and imprisoned Saudi blogger Raif Badawi are among this year's nominees. A total of 273 were nominated. The Nobel Peace Prize is presented in Norway. The other awards are handed out in Sweden. This is how Alfred Nobel wanted it. His exact reasons are unclear. But during his lifetime, Sweden and Norway were joined in a union. The union was dissolved in 1905. Sometimes relations have been tense between the Nobel Foundation in Stockholm and the peace prize committee in Oslo. The Stockholm foundation manages the prize money. Scientists often have to wait decades to have their work recognized. The Nobel judges want to make sure that any breakthrough withstands the test of time. That is a departure from Nobel's will. It states that the awards should endow "those who, during the preceding year, shall have conferred the greatest benefit to mankind." The peace prize committee is the only one that regularly rewards achievements made in the previous year. 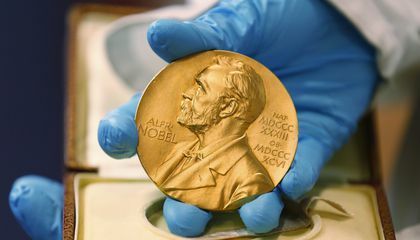 According to Nobel's wishes, among the criteria is that peace prize should go to "the person who shall have done the most or the best work for fraternity between nations." As a private foundation the Nobel Foundation can dictate what policy it feels is best for the foundation and for keeping in line with Alfred Nobel's wishes. If they are able to decide in secret, they are more free from political, social and economic pressures. It is important because it depends on where it is located. The private foundation would like to let people admire the prize and also keep Alfred's wishes/dreams out of harms way.